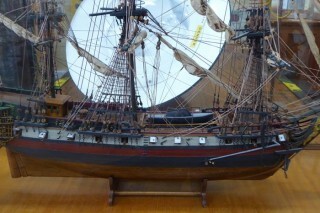 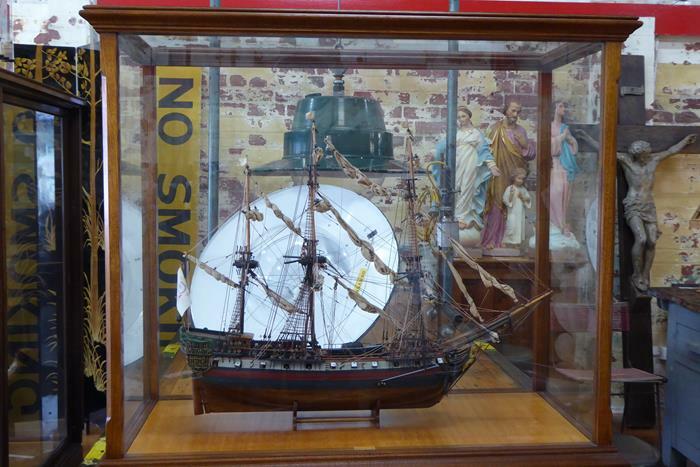 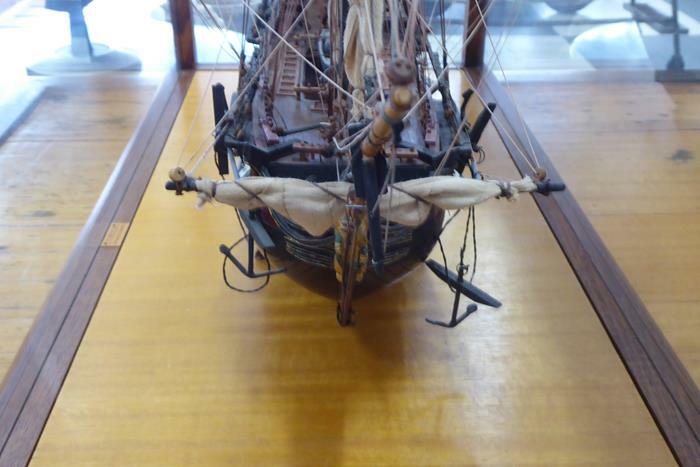 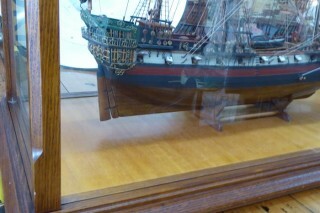 A very detailed early 1970s model of the St Geran (French 1736). 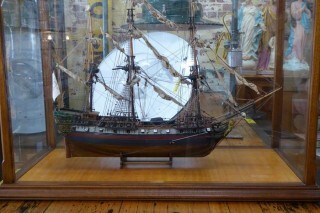 Used as a merchant ship off the African coast. Wrecked August 1734. Presented in a lovely timber and glass display cabinet.